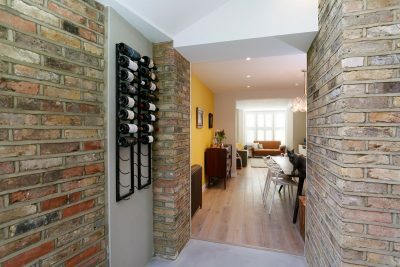 A recently completed project in Lavender Hill, London. The project involved a new side return and a complete refurbishment of the basement floor, including re-landscaping of the garden. 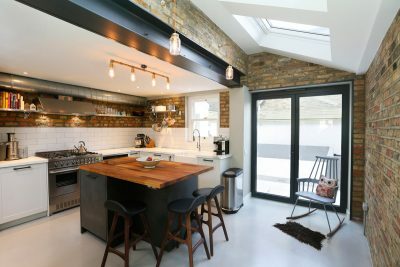 Parts of the original brickwork were retained and uncovered as well as a new brick wall in the extension to complement the original brickwork. 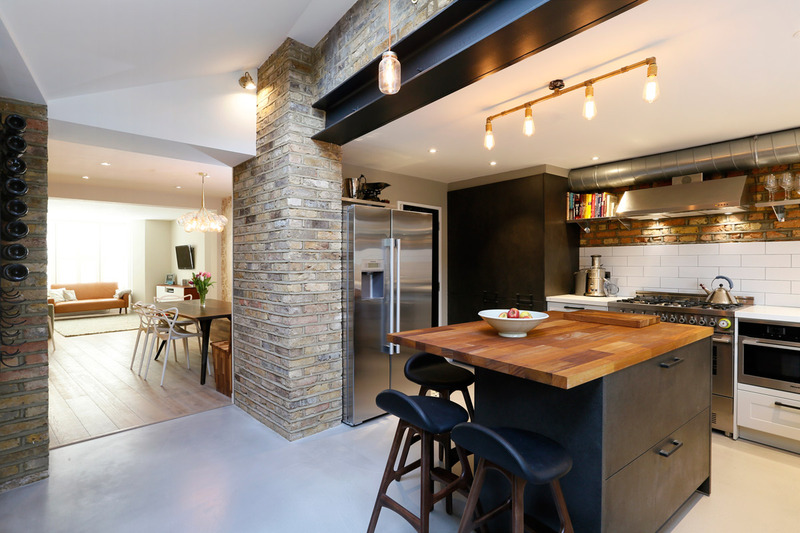 Industrial looking elements such as the exposed steel beam, concrete floor and large metal ventilation ducts were used.